We’ve been hoping for a better selection of listings for our buyers. Compared to the past 3 years, we’re seeing a lot more homes coming on the market over the past week. The trouble is, they’re selling faster than usual, too. Sales over the past week are up a phenomenal 32%. So far, we haven’t seen a significant increase in prices, but if this imbalance persists for a few months, do you think that low supply and high demand will dictate that prices go up? This entry was posted in Calgary SFH. Bookmark the permalink. but if this imbalance persists for a few months, do you think that low supply and high demand will dictate that prices go up? Yes,it will, just a matter of time. 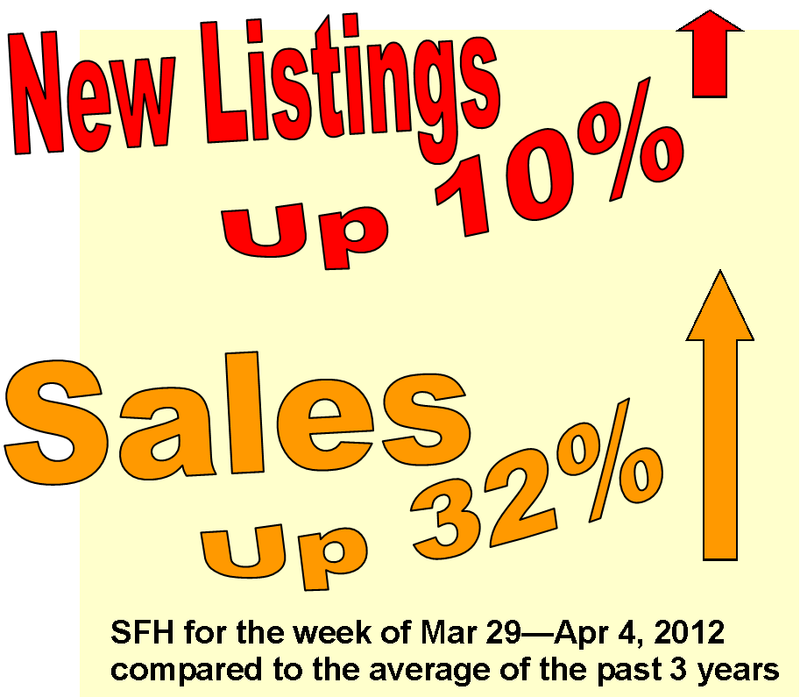 Five homes sold for higher than list price yesterday. The average amount OVER list price was a whopping $75,000. The home in Woodbine, which sold for $735,000, was purchased in 2009 for $643,000. What about the market as a whole? These are cherry-picked statistics, which is great for sellers and realtors who make a percentage of the sale price. Did you know that Steven Stamkos of the Tampa Bay Lightning Leads the League in Goals and is Number Two in Points? Yet his team will not make the playoffs? Selling-over-asking-price is irrelevant. The selling price is what’s relevant. How much did these homes sell for? What is the average sale price of comparable homes in those neighborhoods? The sample used here is very small and specifically selected to highlight a statistical category. What’s the overall picture of the market as a whole over the last 6 months? i am really trying to be nice but, you do realize that the links at the top of this page provide what your asking about in your post. The only way they could be more provided to you is if someone smacked you over the head with them.